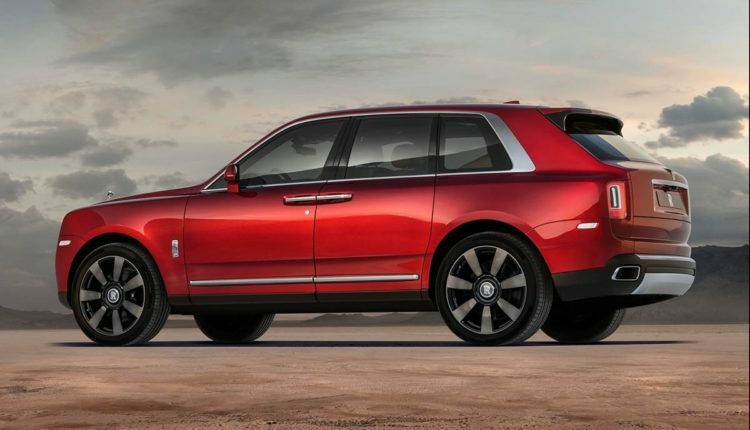 The contemporary and functional design ensures Cullinan gains iconic status in the face of increasingly bland SUV designs. Automotive mobility has always been a fast-moving and dynamic business, with new concepts – such as SUVs – appearing with great regularity. But those new concepts need to be perfect in order to be adopted by those customers who will accept no compromise – the patrons of true luxury. 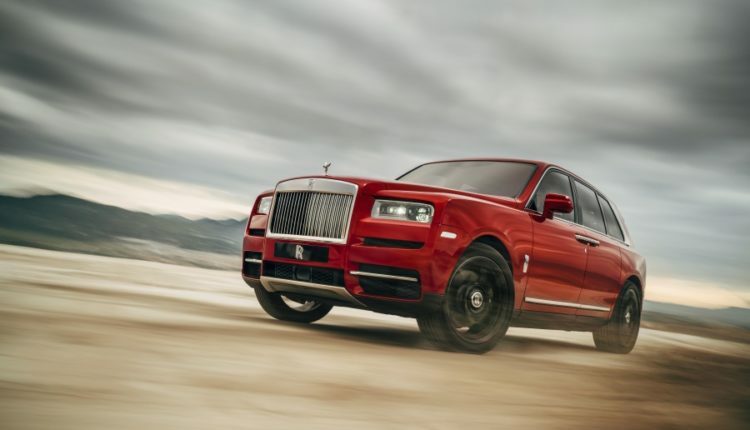 Hence the Rolls-Royce Cullinan. The seats fold electronically in a number of configurations by pressing the appropriate button in the boot or rear door pocket. One press sees each backrest effortlessly fold down, whilst at the same time moving the headrests upwards to avoid making an imprint on the seat cushion. Both seatbacks can be folded completely, creating a flat load area or in a 2/3 and 1/3 split, increasing practicality even further. Rear passengers can still travel with a long load, or use the carpeted seat back as an occasional table on which to rest their precious personal items. The rear compartment or boot area offers a standard 560 litres of space, growing to 600 with the parcel shelf removed. 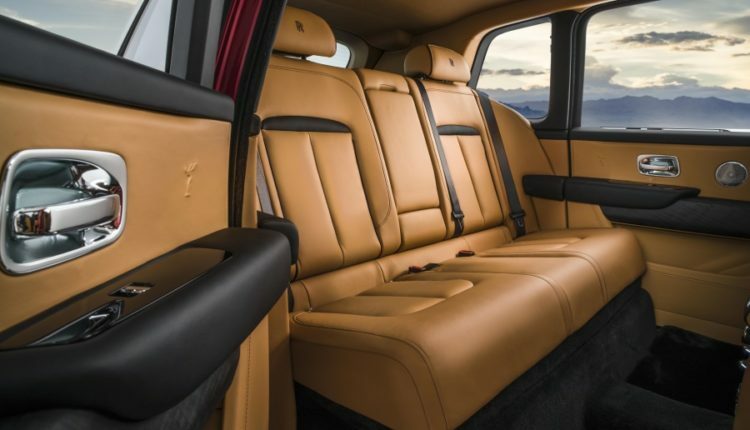 Furthermore, the base of the rear seats sits higher than the boot floor, so even with both rear seats folded, the items in the boot cannot slip forward and are safely contained, unlike in any other SUV. But for those wishing to carry along item back from their trip – whether it be a Mark Rothko from the Art Gallery or a newly discovered artefact from the latest archaeological dig – a loading length of 2245mm and load capacity of 1930 litres is accessed by electronically raising the boot floor to meet the seat base, allowing the item to slide through effortlessly. 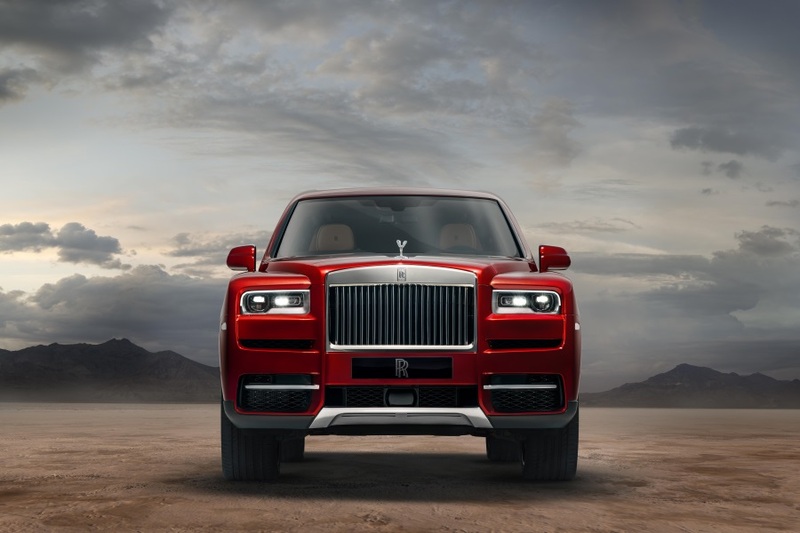 One final feature brings Rolls-Royce’s ultimate level of luxury to this configuration of Cullinan, creating the first truly “three-box” SUV. Inspired by the age when one never travelled with one’s luggage, a glass partition isolates the passenger cabin from the luggage compartment, creating an inner ecosystem for the occupants. In addition to enhanced and class-leading silence within the cabin, a further benefit becomes clear in the hottest and coldest of environments. Thanks to the sealed cabin created by the glass partition wall, the occupants can remain at the optimum temperature even when the luggage compartment stands open. 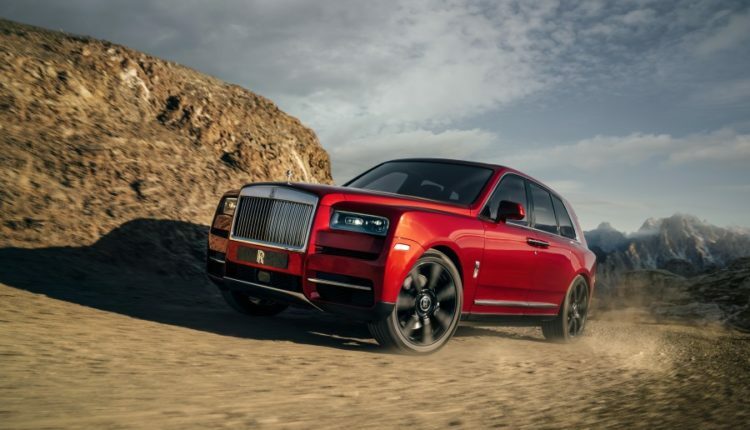 The driver instantly recognises Cullinan as a driver’s car thanks to its thicker, smaller steering wheel. 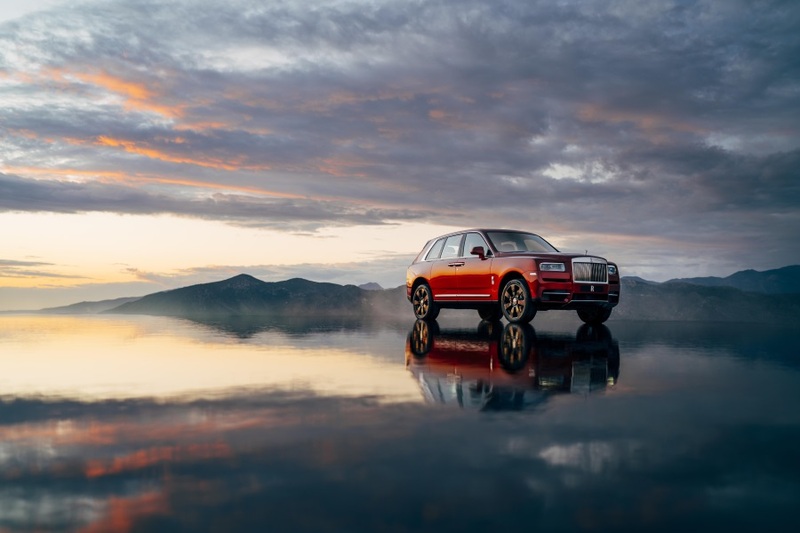 It’s heated, pliant rim hints at epic voyages which Cullinan is all too eager to begin, whilst heated and ventilated seats mean passengers will be perfectly acclimatised. From their commanding position at the helm of Cullinan, all equipment and technology are clearly seen and reached by the driver. The suspension makes millions of calculations every second as it continuously varies the electronically controlled shock absorber adjustment system – reacting to body and wheel acceleration, steering inputs and camera information. A new double-wishbone front axle and 5-link rear axle deliver astounding levels of control over the lateral roll and shear forces and deliver incredible agility and stability, as does the addition of four-wheel steering, all contributing to incredible drivability and nimbleness. 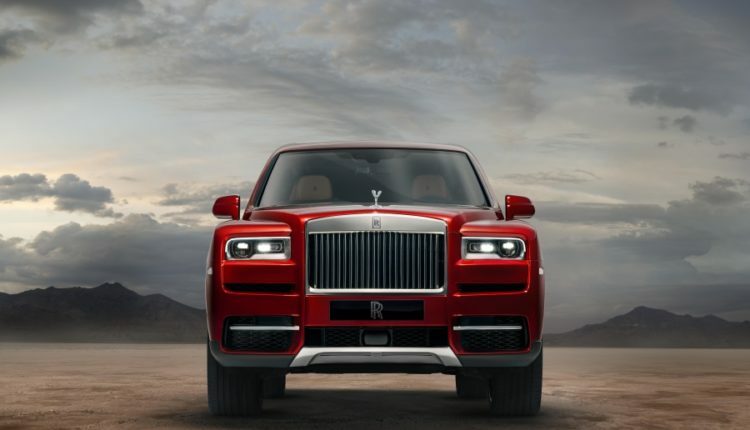 The grille is created from hand-polished stainless steel, but for Cullinan, it is set slightly proud of the surrounding bodywork that pushes it up and forward. The Rolls-Royce badge and Spirit of Ecstasy ride significantly above the line of the wing, giving them a unique vantage point. Away from the face of Cullinan, the vertical lines that run from the A-pillars down along the raised bonnet edge, down the side of the grille and into the metal skid plate below emphasise the height of the car and its dominant character. The line then rises quickly on the A-pillar to resolve in an ultimate height for Cullinan of 1,836mm, a height accentuated by the glass to the metal ratio as seen from the side. 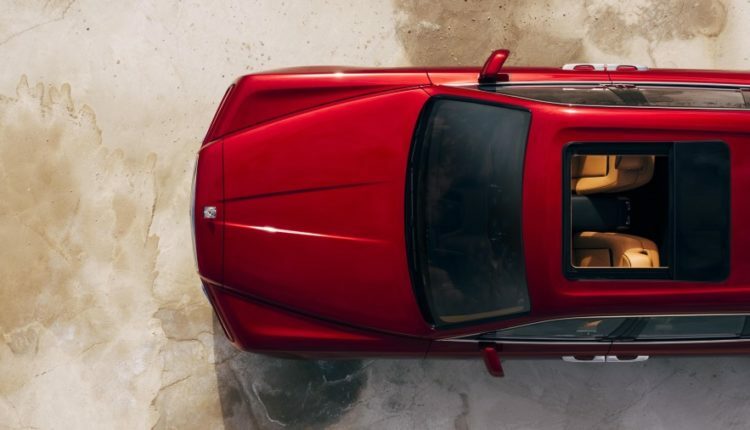 From just over the B-pillar, the roofline becomes quite fast and drops away to the even faster rear glass which resolves in an elegantly protruding boot lid that reminds one of the D-Back Rolls-Royces of the 1930’s, some of the last of the marque to still carry their owner’s luggage on a shelf outside the car. 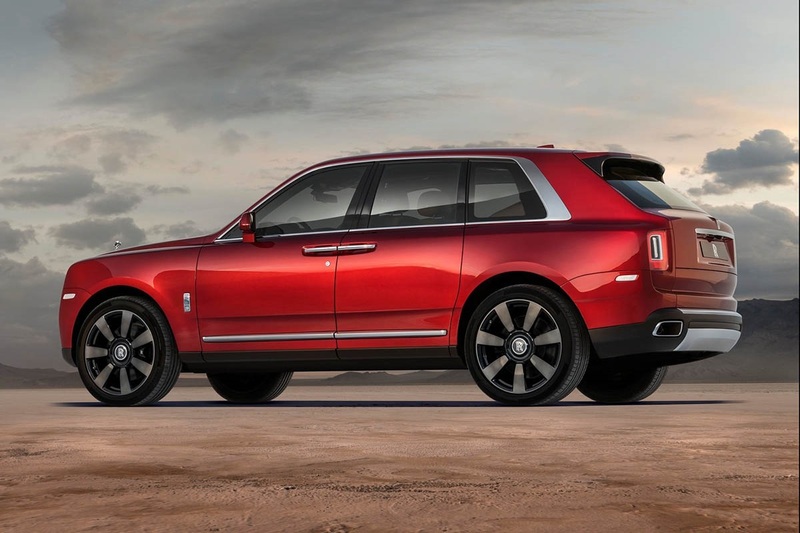 The rear view of Cullinan continues the theme of functionality, with the design reduced to a functional baseline. Any jewellery is subdued. So for instance, the Rolls-Royce badge stands on its own smaller plinth separate and above a thin metal finisher over the number plate housing. The design theme for the rear lights also remains simple as two narrow upright units house all the lights and are minimally adorned by thin narrow strips of jewellery at their centre. 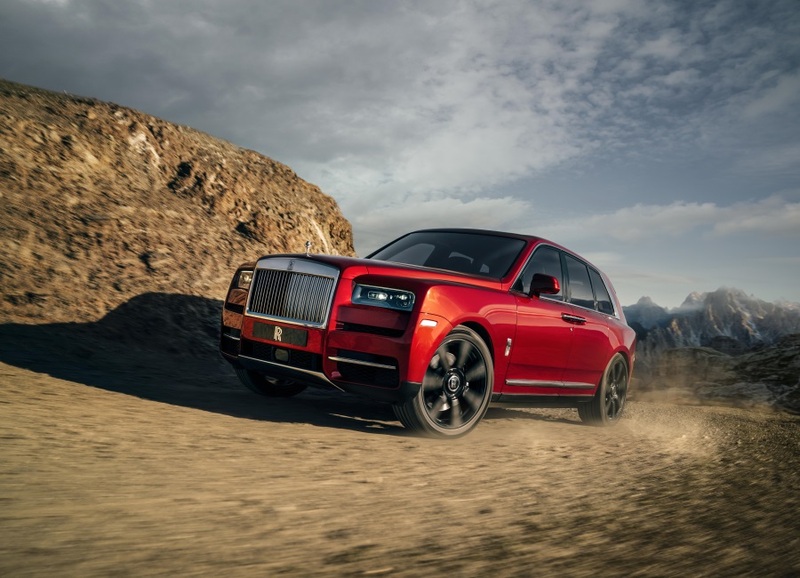 A final mark of functionality is the exposed metal exhaust pipes and skid plate, both reminding one of Cullinan’s power and ability. 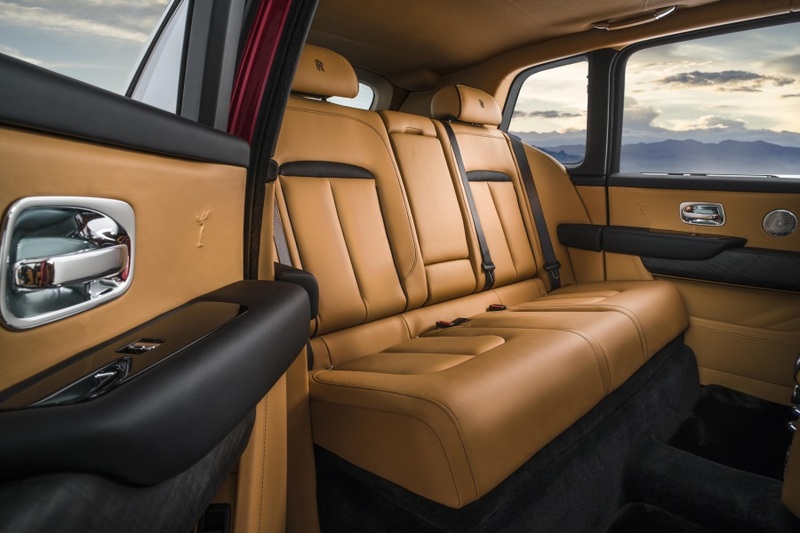 Inside, the cabin of Cullinan combines authentic Rolls-Royce luxury with simple, symmetrical functionality to express the car’s inherent strength. Whether the fascia and centre stack of the dashboard or the armrests on the doors, structural horizontal and vertical elements underpin the interior design. The upper fascia is clad in a newly developed contemporary ‘Box Grain’ black leather – a durable and water-resistant boarded leather similar to that used in Italian high-end luggage and handbag design. It gives the fascia a sense of width as it runs across its upper segment, allowing the jewellery-like elements of clock and air vents to stand out beautifully. Supporting this upper section is a strong band of wood that is moulded in three-dimensions to flow out to the centre stack, whilst the entire dashboard is protected by leather pads on top and at the bottom. The top pad is fashioned in a wing-like fashion, suggesting muscularity and movement, as well as the functionality of a cockpit. 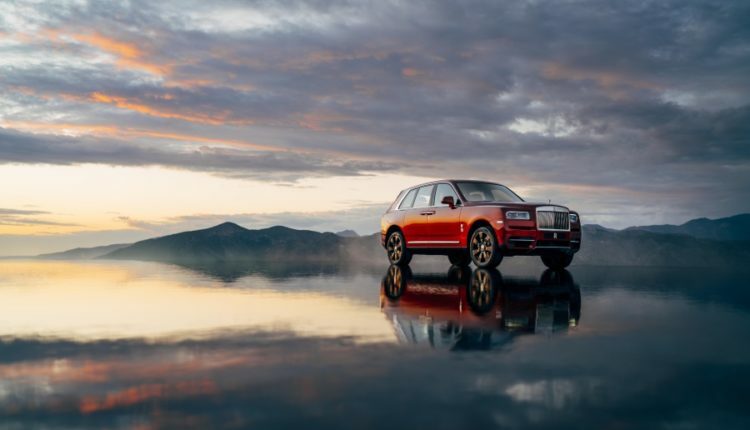 Fly fishing, photography, rock climbing, snowboarding, parascending, kiteboarding, base jumping, volcano boarding or simply sitting and taking in the view, anything is possible thanks to the Rolls-Royce Bespoke Collective. 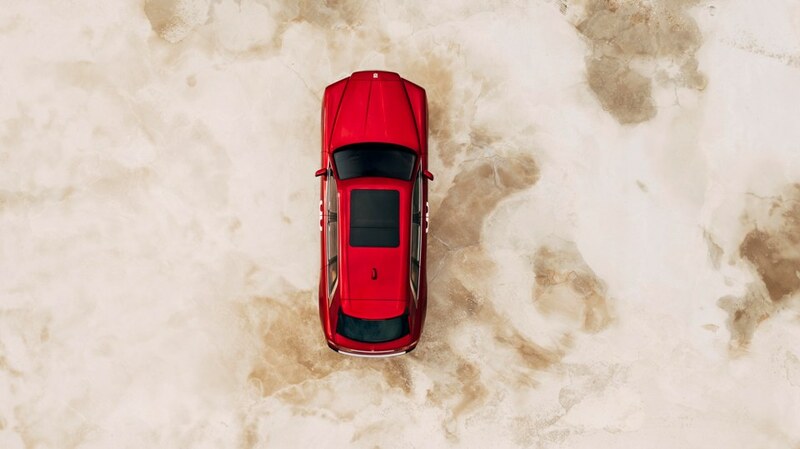 Easily slotted and plugged into the boot of Cullinan, each Recreation Module contains a motorised drawer housing the equipment and paraphernalia specific to each Cullinan owner’s pursuits. When the owner is ready to play, it presents itself.